Hide deals from seller "Bosen Chicago Martial Arts & Fitness"
Limit 1 per person. Valid on 5 women’s fitness classes. Not valid Fridays or Sundays. By appointment only. Must attend all 5 classes within 30 days of first visit. Promotional value expires 30 days after purchase. Let your mom work out while having fun with 50% off five women’s fitness classes from Bosen Chicago Martial Arts & Fitness in Kilbourn Park ($50 value). Your mom can mix and match from Zumba, Booty Beat ad Bosen Combat fitness classes. At Bosen Chicago, the trainers strive to provide fun and energizing classes to keep people toned and healthy. 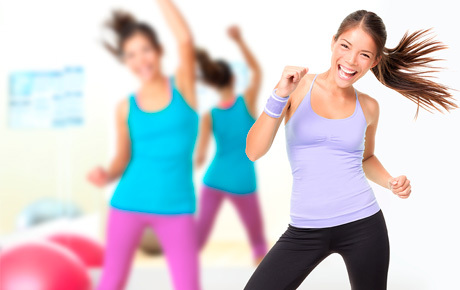 Zumba is an aerobic dance class set to Latin music, while the Booty Beat fitness classes employ Flirty Girl Fitness moves for a cardio-intensive dance-based class. Combat Cardio is a mixed martial arts class that includes punching, kicking and cardio. Your mom can choose just one type or try all three. Give your mom the gift of fitness this Mother’s Day. Fitness and dance center in Kilbourn Park offering martial arts and fitness classes.